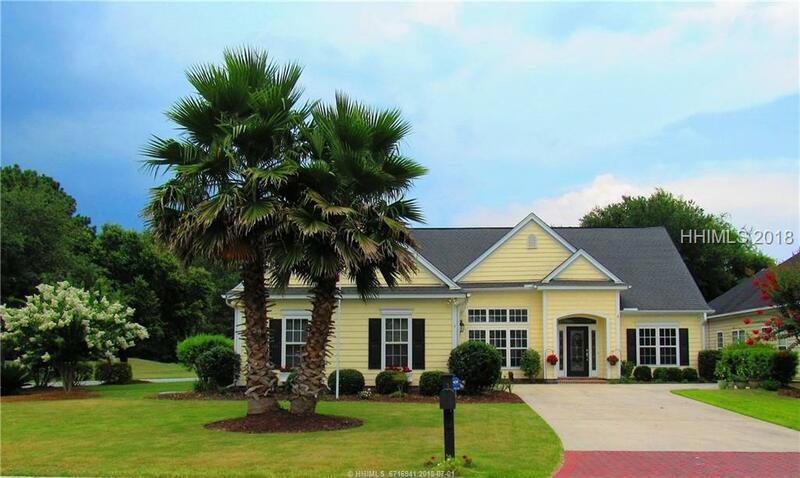 Popular Glenwood model in fabulous location w/golf and lagoon views! Large corner lot. 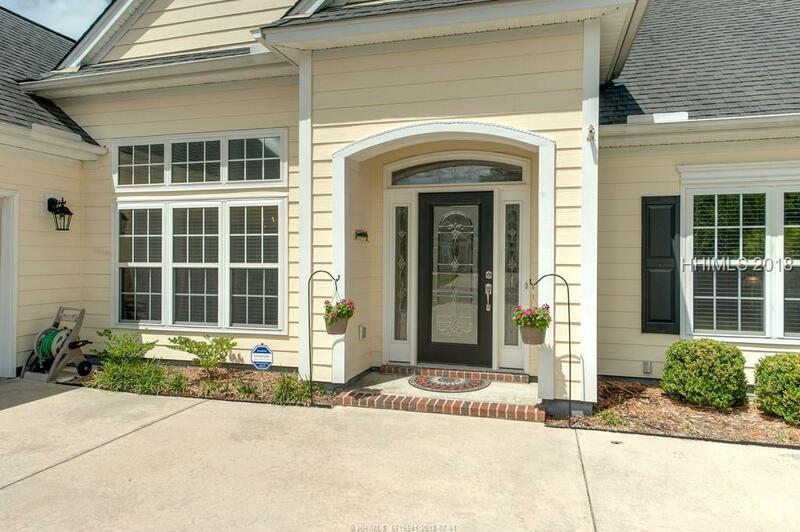 Bright, open floor plan featuring 3 BR plus study, Sunroom w/gas fireplace, formal Dining Room and extended garage. Kitchen has 42 white cabinets w/pullouts, butler pantry, granite, SS appliances w/double ovens and center work station. 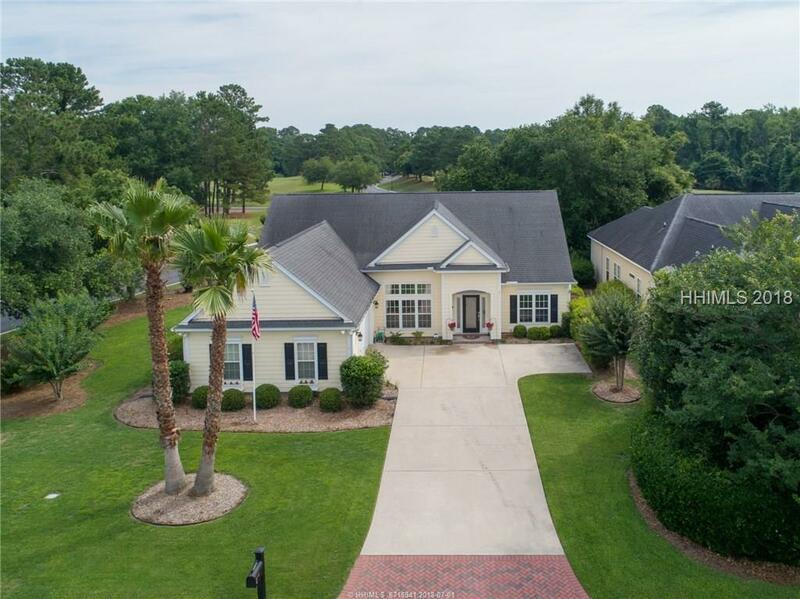 Other features include gleaming hardwoods, tall smooth ceilings, crown molding, custom MBR closet and extended back patio with upgraded landscaping including the addition of numerous trees. Newly painted interior 3/18. 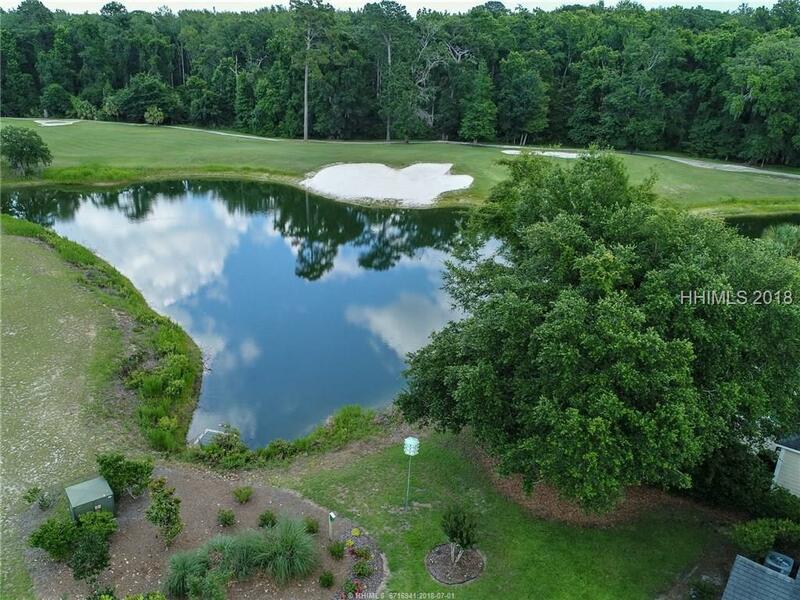 The Crescent offers a private gated golf/tennis community with low POA fees in the heart of Bluffton!